Makers of the “greatest hoodie ever made,” American Giant is dedicated to providing its customers with the highest quality American-made apparel at prices that make sense, and are 100% manufactured in the USA. This brand promise has delivered a passionate fan base and high customer satisfaction. And, American Giant understood that its happy customers were going to be integral in growing its business. American Giant needed a way to efficiently and consistently drive new customer acquisition. “ If you provide quality products at an affordable price, people naturally want to share those products and their experiences with their friends"
American Giant launched a referral marketing program to give its customers easy ways to share the brand and the products they love with their friends online. 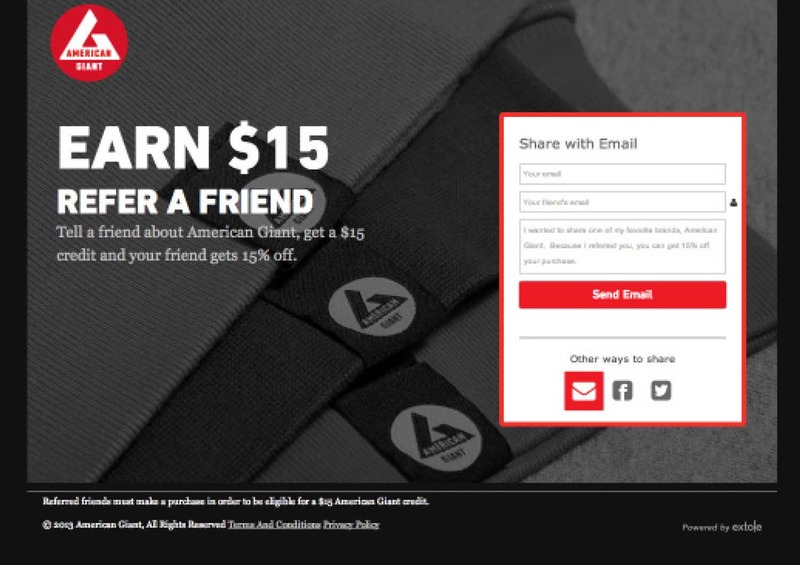 American Giant gives existing customers $15 when their friends make a purchase and friends receive 15% off their orders. Customers can send referrals directly via emails or, more broadly, to social networks like Facebook and Twitter. In addition to driving new customer acquisition, the referral marketing program provides American Giant insights into its customers’ product preferences. 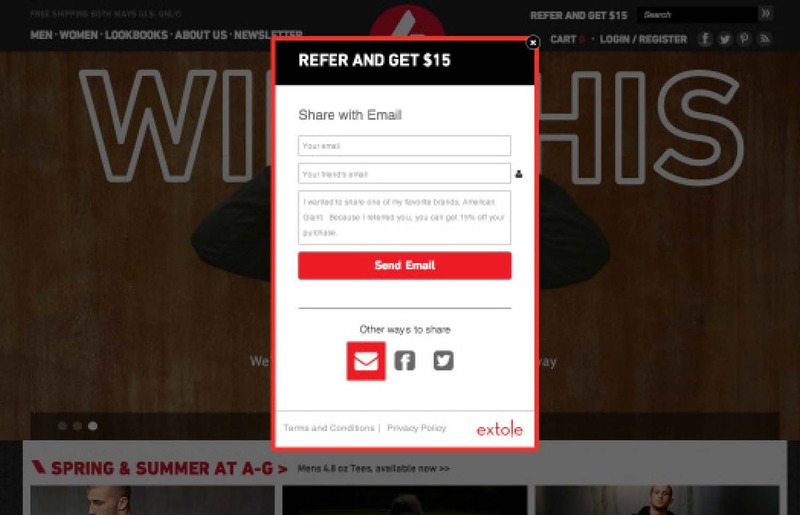 The Extole-powered referral marketing program drives 10% of all eCommerce transactions for American Giant. American Giant customers share the program an average of three times with their friends. Among the sharing channels, email is the highest performing with a 21% conversion rate.